Dado blade sets are popular choice with many woodworkers and there are a number of projects that call for their specific use. The fact is, the dado blade is one of the best tools available if you want to create a dadoe or rabbet joint. Gone are the days where you would need to perfect the art of using a specialty plane, or even cutting the joint by hand with a chisel. Now, armed with a power tool and good dado blade, you can create the same joints in minutes. This is the most popular dado blade you will find and is well catered for by manufacturers. You will find a whole host of brands, models and configurations when it comes to the stacked set. There are a number of reasons it is considered the best dado blade type to opt for. Firstly, the stacked dado set is more versatile. It consists of two saw blades that are stacked together, with what are called “chippers” fitted between. The width of the dado can be altered depending on the number of chippers installed between the inner and outer blades. This can easily be selected by the woodworker to meet the demands of the project. The wobble dado blade differs from the stacked type in that there is only one blade. The blade is fitted with a collar that allows you to set the blade at different angles. The steeper the angle selected, the wider the width of the cut. The blade then ‘wobbles’upon operation to achieve the width of that cut. 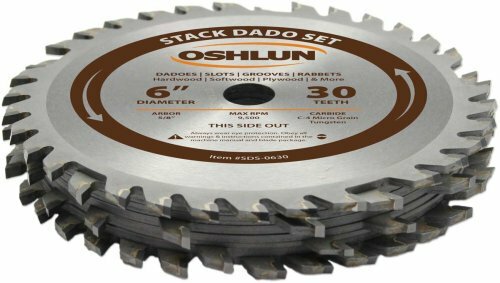 As the stacked dado is the most popular type of blade, we will take a look at how you set one up before use. The important issue is to know how many chippers to use to achieve the desired width of cut. 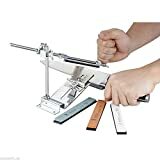 Any model you choose will come with detailed instructions on how to set up the blade, however, most brands do opt for a universal configuration. 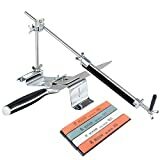 Since the set cannot be used without the inner and outer blades, in the example set out above, you can deduce that the minimum width you can cut is 1/4″. 5/16″ cut – Add only the 1/16″ chipper between the blades. 3/8″ cut – Add only one 1/8″ chipper. 7/16″ cut – Add one 1/8″ and one 1/16″ chipper. 1/2″ cut – Add two 1/8″ chippers. 9/16″ cut – Add two 1/8″ and one 1/16″ chipper. 5/8″ cut – Add three 1/8″ chippers. 11/16″ cut – Add three 1/8″ and one 1/16″ chipper. 3/4″ cut – Add four 1/8″ chippers. 13/16″ cut – Add four 1/8″ and one 1/16″ chipper. As with any sharp edge (and power tool), you should act with caution when using these instruments. This means standard safety procedures apply regarding clothing, goggles and ear protectors as well as common sense issues such as a clear work surface. Firstly, never make the mistake of using a stacked dado with a circular saw. They are not designed for this reason and it is unsafe. Dados are designed to be used with table saws and radial arm saws only. 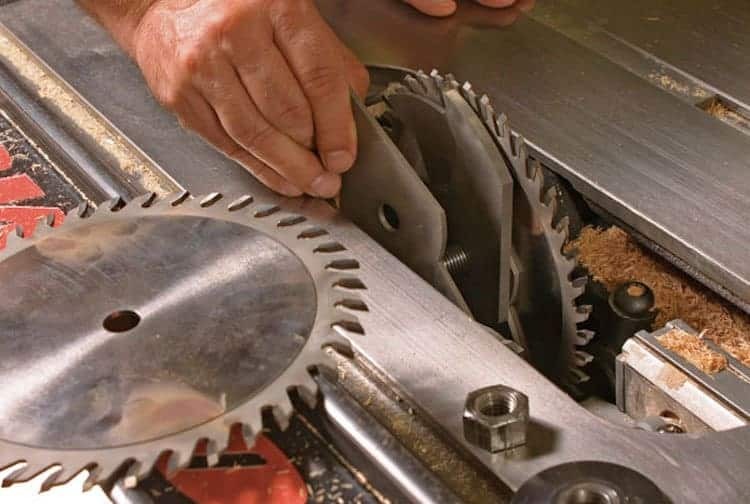 When lining up the stacked dado set onto your saw’s arbor, you need to make sure there is safe enough distance to accommodate the width you are creating. There should be enough length available for the arbor nut to be fully threaded onto the arbor when tightened against the blade. 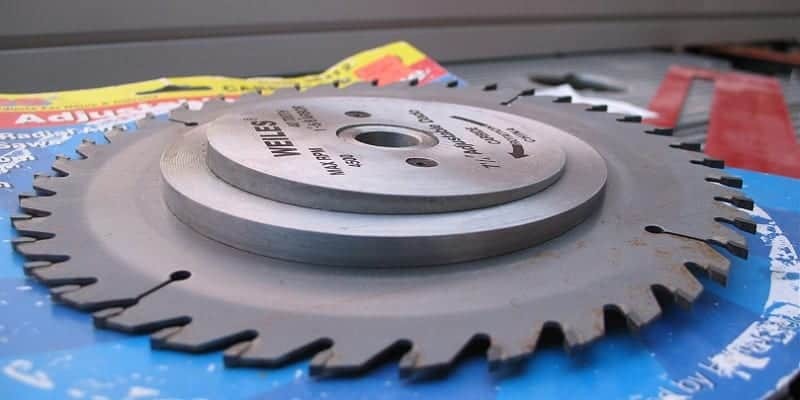 When using a stacked dado blade on a table saw, you will also need to use a dado throat plate to ensure safe operation. Never use a dado blade with the throat plate removed.